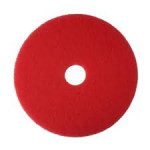 Total Cleaning Supplies stock general purpose floor maintainers for both the daily mopping of floors and for the use with rotary floor polishing/buffing machines. 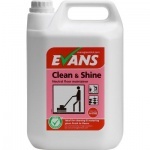 Evans Vanodine and Prochem produce excellent floor maintainers and cleaners that can be applied to polished floor areas or high gloss floors. 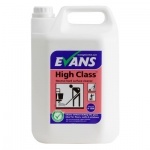 Regular cleaning with these chemicals will maintain and improve the gloss finish of a floor where a floor polish has already been applied. 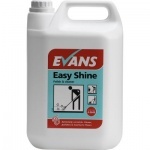 To maintain and improve a polished floors appearance use Clean & Shine and Easy Shine to renew the polymers already applied by a polish and improve the appearance.